In traditional African society, if you have a gift for one person, it is embarrassing to give it to him or her in public. It is strongly recommended that you take the person aside to honor him with the gift. Before 2009, HITIP had adequate funds to provide clean water to one village, but we waited for the opportunity to have enough funding to make it available for ten villages. We did not want to plant the seed of conflict rather than the seed of Peace! In the Tikar country “Water is Life" as it is anywhere else, but in the dry season it could be a source of animosity between the communities....*During the rainy season, water is available, coming from different origins: rivers, springs, natural sources or rainfall collection. But in the dry season the struggle for water becomes a source of social conflict between villagers. 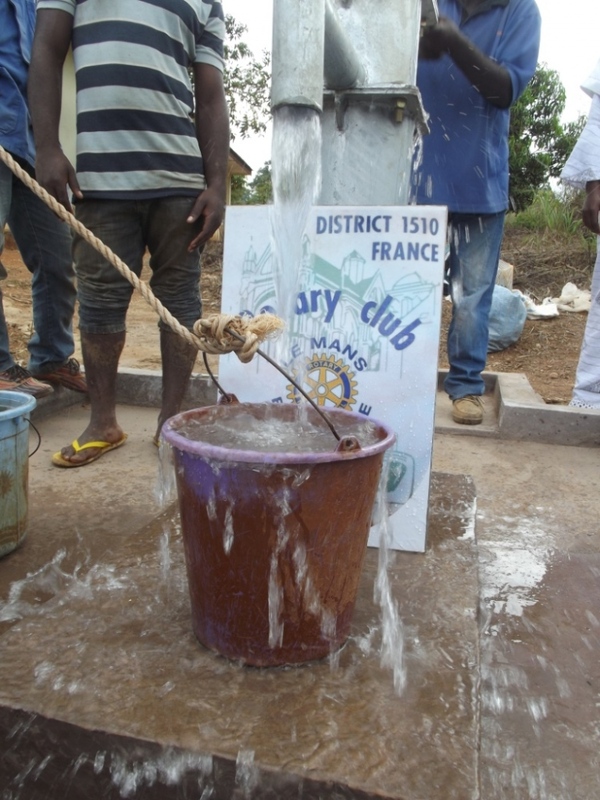 Since 2010 HITIP, Rotary Le Mans Bérengères (District 1510) and Rotary Douala Bésséké have been collaborating to bring clean water to 20,000 people. The headquarters of the Rotary Foundation in Evanston, Illinois in the US awarded District 1510 a grant: AIPM, (Action d'Intérêt Public Mondial) to build and restore ten water sources for 20,000 villagers by the end of summer 2013. Most of these indigenous people have never tasted clean water. This is how water became a source of joy and celebration in Tikar country. This successful mission is also the story of two worlds, the North and the South, and three people: Dominique Boisnard, the current president of the Rotary Club District 1510 Le Mans Bérengères; Issa Nyaphaga, the founder of HITIP; and Roger Buron of France. Roger came in the summer of 2010 to complete community assessments commissioned by District 1510. The next year, Dominique and Roger visited the sites to acclimate to the conditions on the ground. The community of Nditam village organized a naming ceremony for them, and traditionally masked dancers performed and honored them as new members of the Tikar tribe. Before and after these missions, cultural exchanges were established. Projects to restore classrooms, to build community libraries and to donate a generator and medical equipment to the medical center were completed. 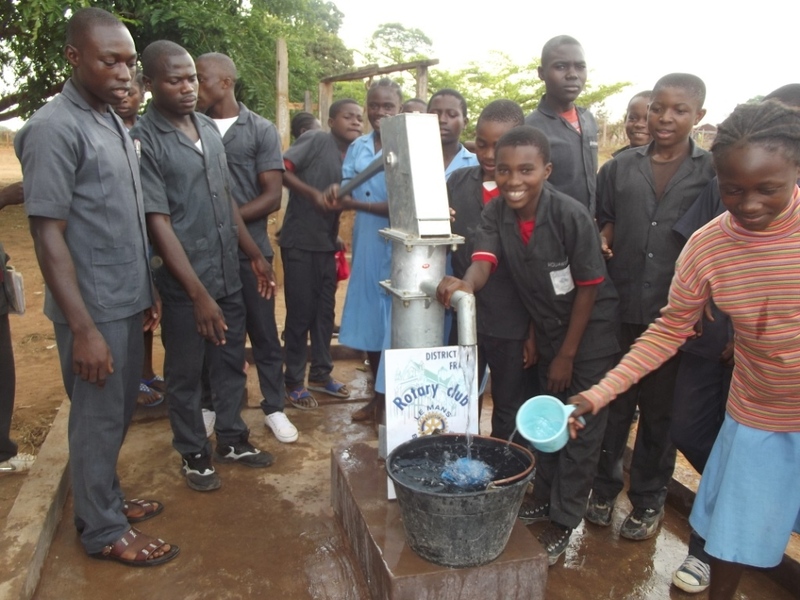 The Rotary District 1510 has engaged many other Rotary Clubs from France, the UK, Romania and Germany to join the Water for Peace project. For the consummation of this program, a new partner the Tools for Life Foundation in Germany will begin its first exploratory trip (pre-evaluation, feasibility study and analysis of the local situation). Engineers and technicians will provide technical training for villagers on the well-drilling system. This program will help the Tikar and Pygmy villagers to maintain the manual pump systems in their villages. 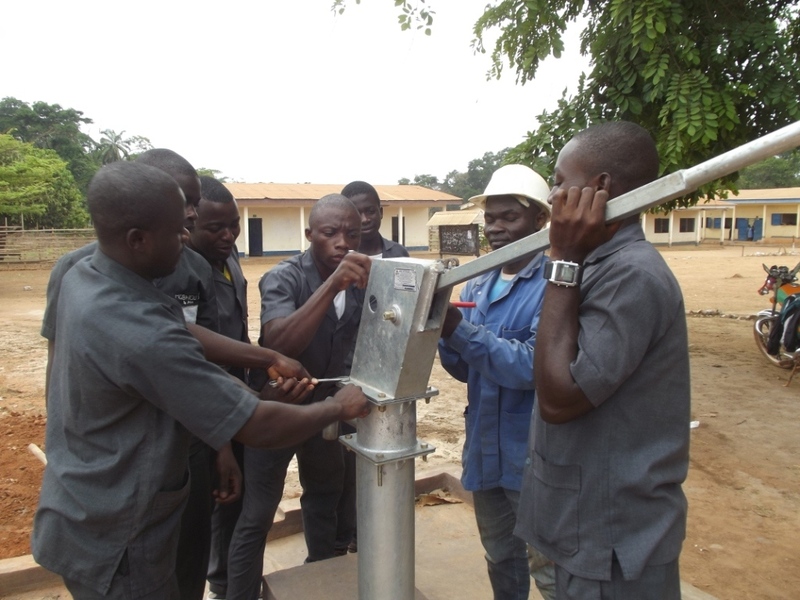 Many committees are being formed within the communities to collect contributions for support of the maintenance of each manual pump. On December 2nd, 2012, Dominique Boisnard, the current president of Rotary Club District 1510, won the Global Rotary Award for PEACE TO SERVE. The prize was given to him by President Sakuji Tanaka in Berlin. Water as an element of conflict resolution has empowered many lives in Tikar country. Bravo!